Glamour, High Concept, and Wigs! Wendy Sanders began her makeup career while attending college in Fort Collins, Colorado.While earning her degree in psychology, she worked in regional theater and film, quickly becoming renowned for her makeup skills and earning an Openstage Theatre Opus award for her makeup design. Wendy also honed her skills in henna tattooing with many private clients in Colorado. In 2005 Wendy picked up and moved to a bigger pond with more opportunity, Austin, TX where she founded Blood and Glitter Makeup! The moment Wendy landed in Austin she began working in film doing everything from glamour to SFX. Her work has been seen at numerous festivals including Cannes, SXSW, LAFF, and even won another award for makeup for the short ‘Recently Deceased’ at the Wild Rose Independent Film Festival. Wendy also began more work in glamour and pinup photography working for private and commercial clientelle including many renowned published photographers, as well as furthering her hair skills while working in the wig and makeup department with Austin Lyric Opera and Ballet Austin. In the past few years she has received much recognition and praise for her work and has been nominated for multiple Austin Fashion Awards. 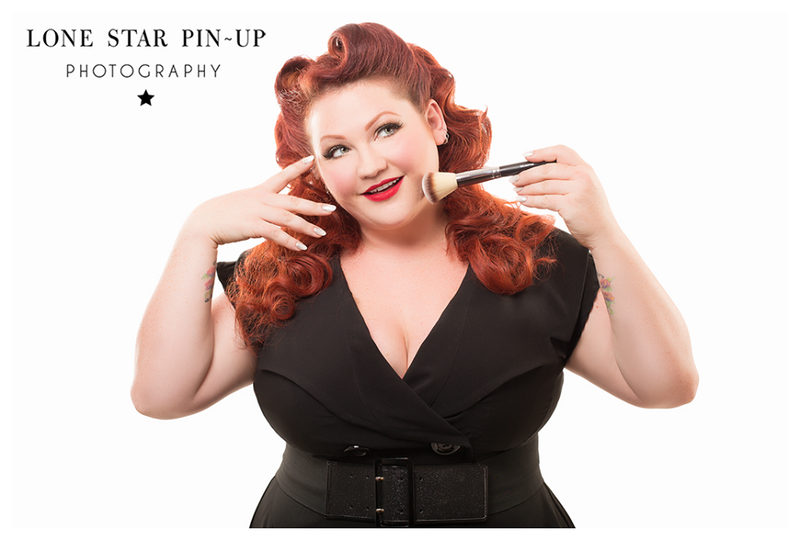 Wendy now does extensive photographic work as well as theater, film, and television and has become the premiere Austin pinup makeup and hair stylist whose work has been seen in renowned pinup publications such as Pin Up America Magazine, Retro Lovely Magazine, Bachelor Pad Magazine, and many more. Blood and Glitter Makeup is now a full service one stop resource for everything from beautiful bridal makeup to pinup couture and even SFX, and continues to expand!